This scenario will take approximately 31 minutes to complete. It’s early morning and the fog from the River Clyde has taken a hold over much of Glasgow. You will be taking control of 2V42, the first Springburn bound service of the day. The journey will commence at Garscadden where you will depart at 05:49, calling at all stations before arriving at Springburn at 06:17. 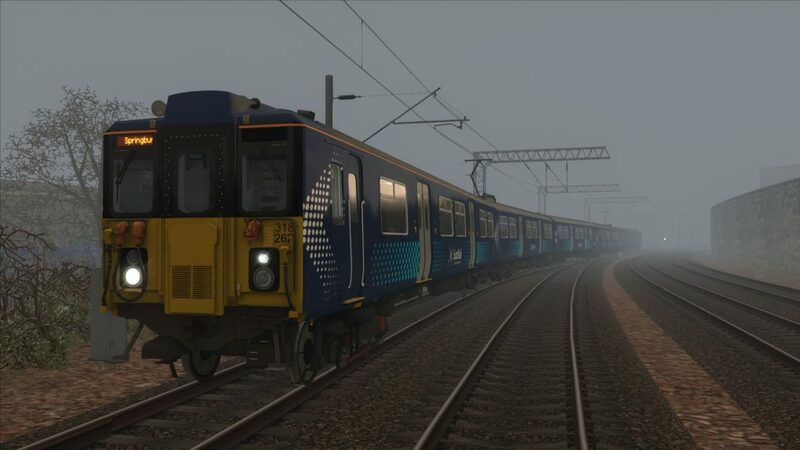 This run has been based on accurate train times from the Scotrail timetable (9 Dec 2018 – 18 May 2019) and verified against Realtime Trains. The train units used has been done based on guess work so may not be entirely accurate, but represents the only 3 Classes of EMU currently in use on this part of the network.